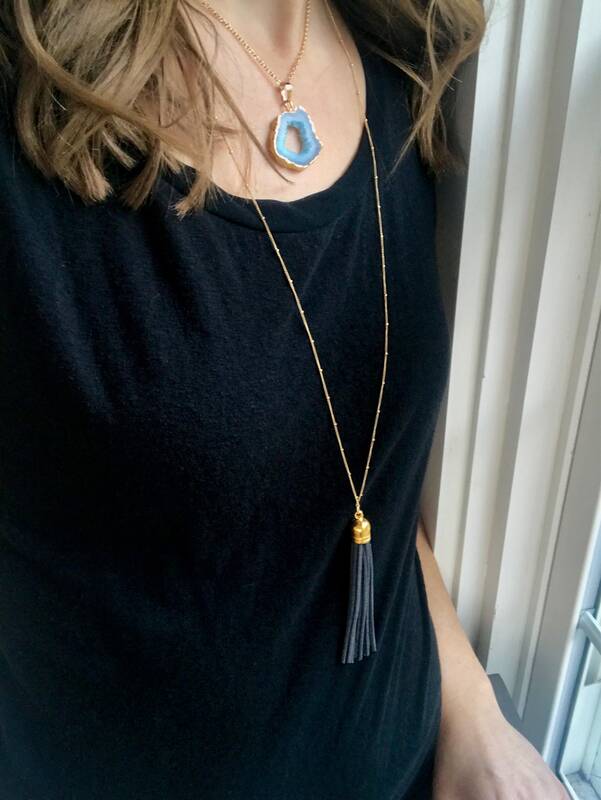 This necklace features a long delicate gold filled chain with a leather tassel. Comes in many colors and chain styles. Layers great with many Magpie Studio + Co. necklaces. 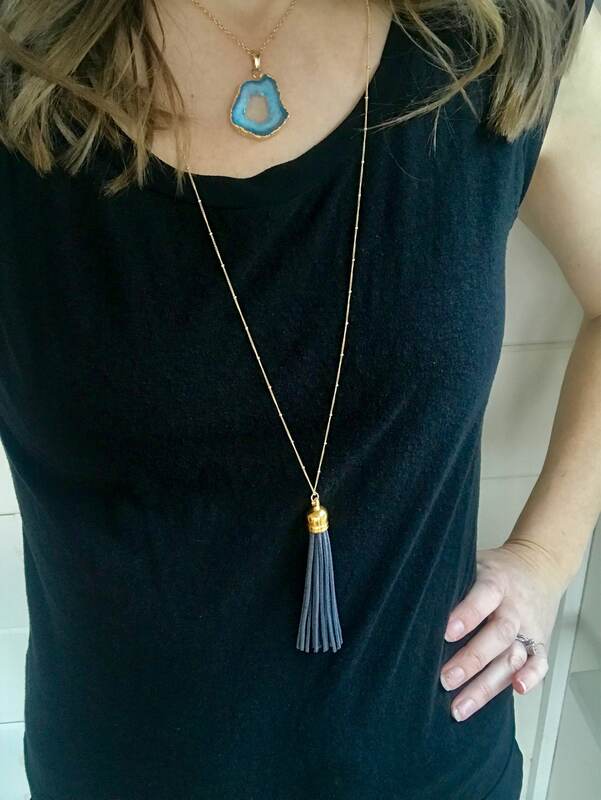 ►The model is wearing chain length 30" Satellite chain with a Dark Gray Tassel. 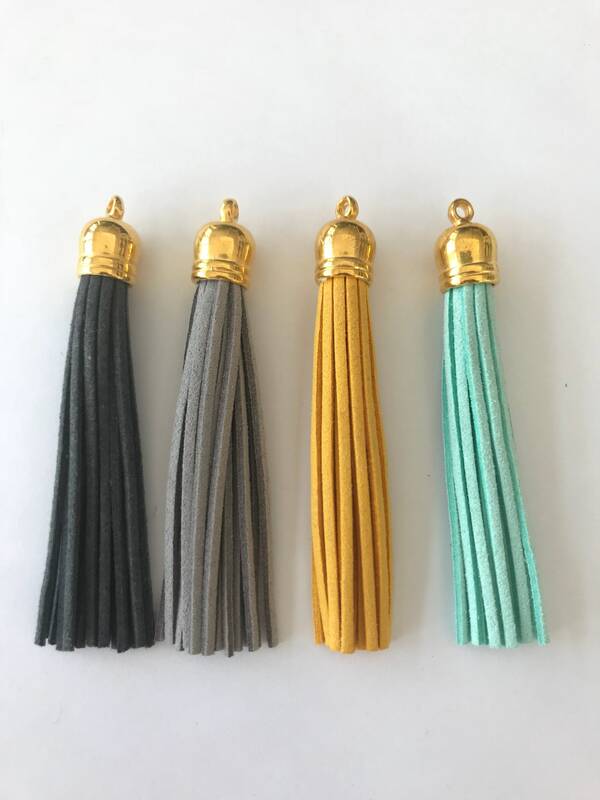 Tassel pendant measure 2" in height, total necklace length is 32". Hits right in the center of abdomen. Model is also wearing the turquoise Druzy Necklace in a 16" cable chain.